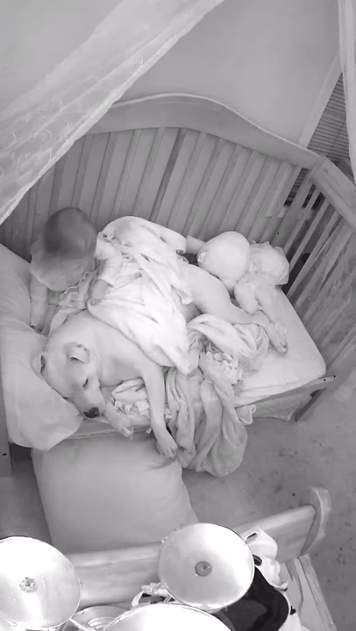 A toddler from Palmer, Alaska found the best comfort after her place was struck with a 7.0 earthquake. Adalynn Leary, also called Ady, was weary and afraid of the aftershocks that kept rocking her hometown so she had problems going to sleep. Apparently, the earthquake caused over 5,000 aftershocks, which was why Ady has grown anxious. 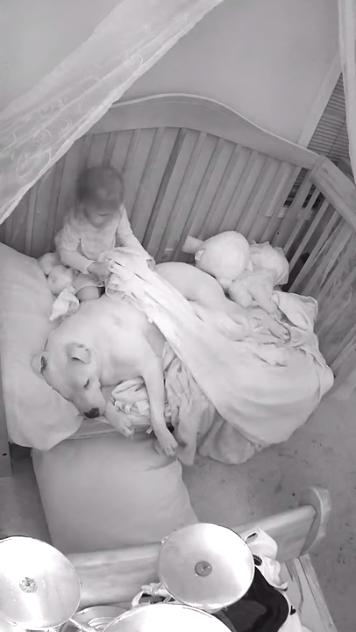 According to Ady’s dad, Kyle Leary, the only way the little girl could sleep was next to the family Pit Bull named Fury. But Fury actually sleeps on the floor just below Ady’s crib-turned-bed in the nursery. One day, however, Kyle discovered what his daughter did so that she could sleep through the night, even if there were more aftershocks. 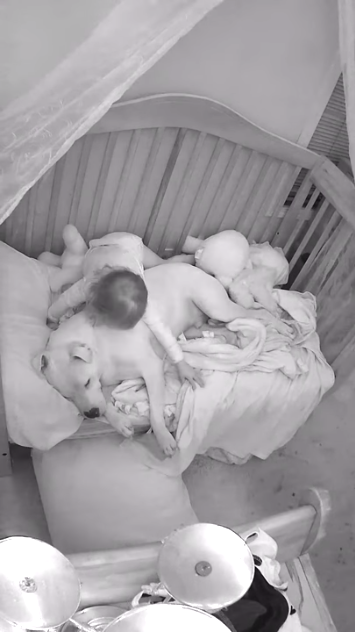 The family’s nanny cam caught Ady calling for Fury to climb to her bed and sleep next to her. As soon as the dog obliges her request, Ady would snuggle up to her furry best friend and sleep soundly for the rest of the night. The mere presence of the animal on her bed would calm her down. Her father posted the video on Facebook, which has raked over 40 million views. People were happy to see that a Pit Bull can be so sweet and tender towards a child. Unfortunately, Pit Bulls have a reputation and a negative stereotype as an attack dog. Some people think Pit Bulls and children cannot get along because there have been reported incidents of the dog breed mauling helpless kids. But as this video proof from Ady and Fury shows, a Pit Bull can be a worthy protector of children if the dog was raised right. If the dog’s family trains him to be a friendly, socially adjusted and loving dog, the Pit Bull can be a child’s best friend. However, there were also some comments admonishing Kyle of leaving his young daughter alone with a dog. 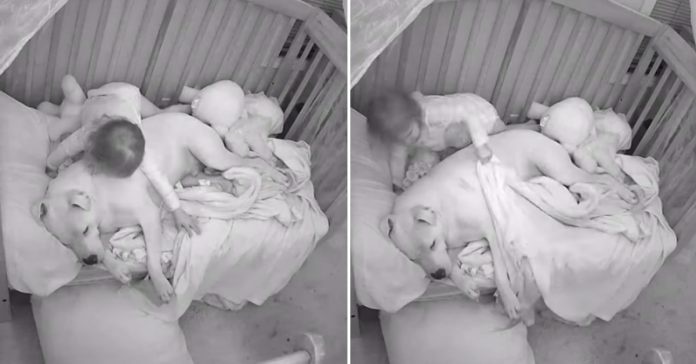 Some said that while it might look too cute to see Ady and Fury snuggling, a child should not be unattended and left alone with a 100-pound animal. People also questioned the kind of message the video would be sending out to other families with little kids. They might make the mistake of leaving their young children with a dog, especially for breeds known to be vicious. But Kyle defended that Fury is different. He’s not just an animal; he is a family pet who grew up with Ady. The father also said that he would also likely not agree to have a child unsupervised and left alone with a dog, as others have said. But Fury has had over 100 hours of training because his actual job is to protect the family members. Kyle intends for Fury to be a service dog for Ady for her anxieties and for whatever she needs. So far, the dog hasn’t disappointed the family and Kyle doubts if he ever will since he’s the one training the pup hands-on. He knows what Fury is capable of he also recognizes the strong bond Ady has with the Pit Bull.